Like it or not, it is time for you to get use to user interface changes as Mozilla Firefox team after 2 years of regular updates have decided to end their support for Mozilla Firefox 3.6 on 24th April. The version was released earlier in January 2010. “We strongly advise our users to upgrade from Firefox 3.6, as they will no longer receive critical security updates as of April 24th”. So, any Firefox 3.6 lover still using it as a primary web browser is advised to upgrade the old version. 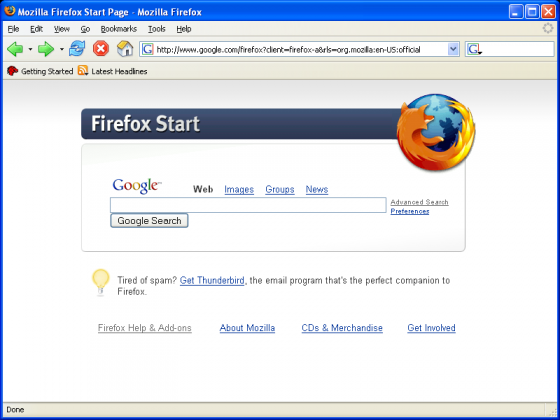 Many people still continue to use the old Firefox v3.6, in spite of its latest version being v11. Why? Because they believe version 3.6 is the most stable version and suits their needs best – and that after this version Firefox started becoming bloated. Plus, they think there is no replacement for it available and that if there are, they are either bloated or lack functionality. Why do you need to update the old version to the latest Firefox version? In related news, Mozilla declared that starting with the official release of Firefox 13 in June, the minimal system requirements for the Windows version will go up from Windows 2000 to Windows XP SP2. This will help in improving the Firefox performance on Windows as it will employ more modern build system. Windows XP users are advised to update to the latest service pack, and Windows 2000 users should consider upgrading to Firefox 13 earlier this June. No doubt, Mozilla Firefox v3.6 had a prolonged period of use but it is advisable for users to upgrade the old version as they will no longer receive critical security updates after April 24th. Companies which have a large park of computers and where the upgrade process can be more complex should switch to the version with extended support, whose security updates will continue for one year. And if you dont want to update your Firefox v3.6 to Firefox v11, you can always try Internet Explorer 9 or consider using any one of these 27 alternative browsers for Windows. Anyone here still using Firefox v3.6? Stay safe, upgrade your browsers!